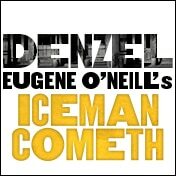 ICEMAN COMETH by Eugene O'Neil with Denzel Washington on Broadway | The Drama Book Shop, Inc.
Broadway's Bernard B. Jacobs Theatre, 242 West 45th Street. 14 weeks only, beginning March 22, 2018. Opens April 26, 2018.